We fell down the rabbit hole. It all started with the stellar ICORating market research report for Q2 2018. When writing Crypto Utopia, we dedicated a section to analyzing ICO failure and returns by industry. 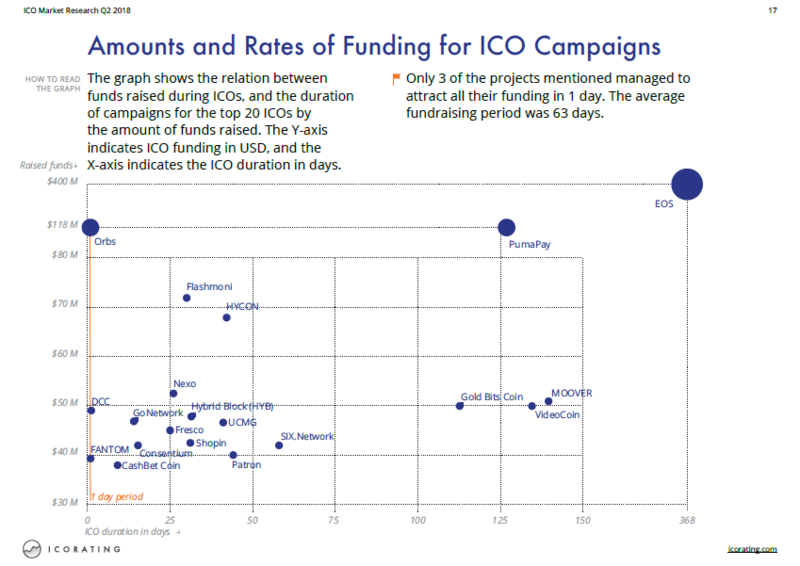 ICORating takes the analysis one step deeper, looking at raises by geography, technical development stage, and even token structure. 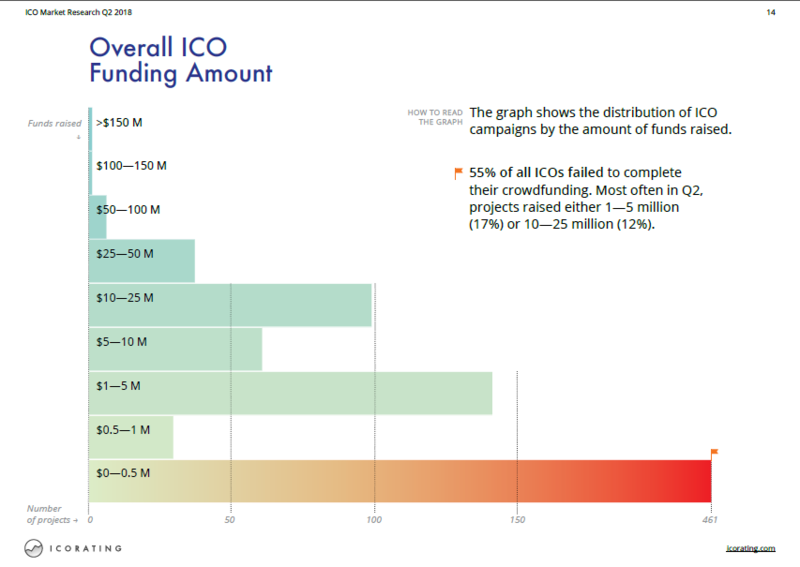 A couple of interesting takeaways: (1) 25% of all ICOs ended up raising less than $500k, which helps adjust our figures that look only at $1mm+ ICOs, (2) less than 10% of projects were able to list on exchanges after funding, (3) as we previously identified, EOS's endless ICO suggests a lengthening out of the fundraising process for projects like PumaPay, Moover and VideoCoin, (4) the highest return by sector has been in exchanges, which is not a surprise given recent capital markets trends for Binance and Huobi. Links and charts below, go read it. But then we started thinking about the business models for research in the crypto space. We've seen three approaches. First, there is free, open research and data. Examples include Messari, Coinmetrics, CryptoCompare, Coinmarketcap, Medium and various other tools. Messari's model is a combination of EDGAR, Crunchbase and Wikipedia, so consumers of the data are also the contributors. Other sites are supported by ads, through aggregators like Cointraffic, with the coin price data they provide driving hundreds of thousands of clicks. In this case, consumers are the product that advertisers (i.e., ICOs) purchase. The second model is to charge a subscription fee to crypto investors -- Digital Asset Research, Fundstrat, and Autonomous NEXT at the institutional level, or Santiment and Picolo at the retail level. In this case, the investor pays a fee for the work done, which aligns incentives. The last model is like a credit rating agency -- think Moody's. The firms get paid by issuers to rate their offerings, which creates a conflict of interest. In the traditional world of finance, rating agencies failed to warn investors about Enron or the 2008 subprime mortgage crisis. In the crypto world, this includes companies that list tokens (e.g., Coinschedule, ICO-List, Tokenmarket, Cointelegraph) and companies that rate tokens (e.g., Digrate, ICORating, ICOBench). Prices for ratings range from $500 to $20,000, depending on the platform. While folks like ICORating have clearly invested in intelligence and analytics, others like ICOBench have been called out for corruption. "Experts" on the system ask projects for $500 per 5-star rating (threatening to downvote otherwise), and the system itself is charging users 2BTC for "expert status". Not great. That said, until investors themselves realize that research and intelligence are not free, such models will continue to proliferate.